When on vacation, sometimes you just cannot decide-should I go to the zoo or maybe a theme park? Luckily, when visiting Orlando, on our upcoming Florida vacation we will be able to do both by going to Sea World Orlando. Sea World Orlando, Florida is a theme park and marine-life based zoological park. It features a vast array of live shows, fun rides and numerous animal exhibitions. The park is divided into several areas including Key West at Sea World indented to replicate Key West Florida, which in this part of the park you can see stingrays, sea turtles, manatees and dolphins, among many others. Another area, Shamu’s Happy Harbor, named after the very famous Sea World Mascot, is an area dedicated especially to kids. Wild Arctic is an indoor pavilion which focuses on the northern sea life including polar bears and beluga whales. The newest are of Sea World is called Waterfront which is meant to resemble a Mediterranean village, with shops and restaurants. The park also offers you a chance to get up close and personal with many of the park animals including dolphins, stingrays, sea lions, shark, penguins and many more. 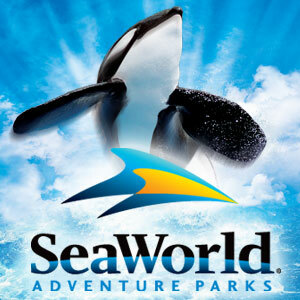 We always love animal theme vacations on our travels and cannot wait to see all the creatures of Sea World.